Have you ever wanted a simple, complete, bootable backup of your hard drive? Have you ever wanted to upgrade to a larger hard drive with minimal hassle and without reinstalling your OS and all of your applications? Have you ever wanted to move your entire Mac OS X installation to a new computer? Then CCC is the tool for you! CCC makes these tasks simple by harnessing the Unix power built into Mac OS X. In addition to the features that CCC has provided in the past, version 2 offers synchronization of the source and target as well as scheduled backup tasks. Now you can setup a regular backup regimen that occurs in the background, even if you are not logged in! Version 2 also offers enhancements for lab administrators, including the option to run pre and post*flight shell scripts, the ability to modify the list of items to be removed at the end of a clone, and the ability to create a disk image on the fly. Mac OS 10.2 (or later) with the BSD subsystem installed (which is installed by default). CCC will not backup directly to CDs or DVD*R discs, though you can backup to an appropriately sized disk image, then burn the image to disc with Toast or Disk Copy. Any machine that supports Mac OS X (officially). 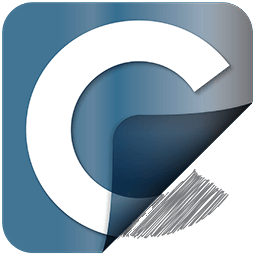 Carbon Copy Cloner version 3.5.3 is the latest version available. Users running Mac OS X 10.6, 10.7, 10.8, or 10.9 should use this version of CCC. Resolved an issue with the syncronization engine that caused Incremental backups to fail in some cases. The "Backup everything" cloning method now properly handles inherited ACLs. The "Backup everything" cloning method is now 25% faster during a file*level copy. It consumes far lass time when backing up to an existing backup. Fixed a bug in which creation dates of modified files were not properly preserved on PowerPC*based Macs when using the Incremental backup method. I now provide more insight into how to resolve an error message caused by trying to replace an item on the backup volume that is of a different type than the item on the source volume. Pre and postclone script output is now directed to the CCC.log file. CCC also aborts more gracefully when preclone scripts exit with a non*zero exit status. The Stop button in the cloning progress panel no longer has focus. Users that press the space bar to wake a dimmed display will be pleased that this action no longer aborts a backup operation. Fixed an issue in which CCC relied solely on the HFS+ volume UUID (Universally Unique Identifier) for identification, which, in rare cases, led to CCC trying to clone a volume to itself. Reformatted the Help content for easier printing. The entire set of documentation can be printed from any page in the documentation. Documentation also now opens in your favorite web browser.